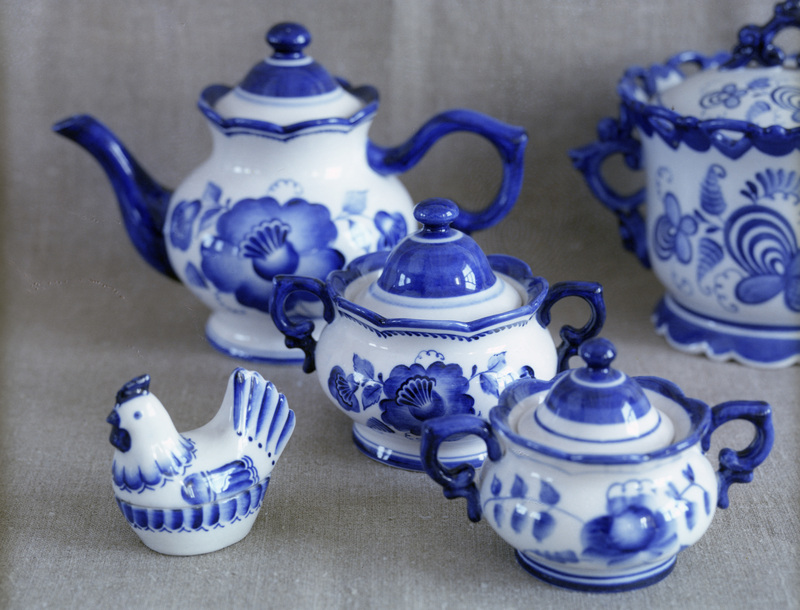 The famous blue and white Gzhel ceramics are among the most beloved souvenirs from Russia. Hand made and brush painted in a small town outside Moscow, each piece produced by local craftsmen is unique. Gzhel (57 kilometers southeast of Moscow) has long been known for its outstanding clay, so it’s no surprise that local potters were Russia's pioneers in producing porcelain. Beginning in the early 19th century Gzhel artisans began producing tableware and sculptures featuring the trademark blue painting on white background. After surviving years of neglect following the Bolshevik Revolution of 1917, the factory experienced a renaissance in the second half of the 20th century when the country's best artists headed to Gzhel to revive this traditional handicraft. Brush painted and hand made, Gzhel ceramics can be found in virtually all Russian homes. "Our team consists of 40-45 people," Petr Sivov, the general manager, says. "Half of them have a higher education, but half of them are self-taught. Talking about the new specialists - unfortunately, vocational education ceased to exist after perestroika. College graduates don't want to work here for some reason. So, we teach our specialists here by ourselves and even pay them a little stipend." Interestingly, before being baked and glazed the famous white-blue Gzhel is a pink-black color. Why? Before coloring, each piece undergoes so-called “fuchsine control,” whereby it is covered with fuchsia to reveal cracks. The process is strictly controlled. The fuchsia gradually turns white and disappears. Then it is hand-painted with a dark cobalt dye, which looks almost black before baking. During the baking process it becomes dark blue. Then it is covered with glaze, which before baking is non-transparent, i.e. a fairly thick layer of glassy opaque white glaze is applied to the surface of the pink-black object, which is put in the oven for another 2 days. During the last baking cycle, the size of the object decreases by almost 15%.